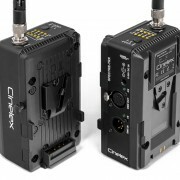 Cinelex have just launched their new website featuring their Project Spectre range of universal wireless DMX control products. EMP Designs is delighted to have worked closely with Cinelex on the design, development and realisation of these leading systems. For more information on the Project Spectre range please visit the Cinelex website, or contact Cinelex. For more information on design and development of electronic products, parts or systems please contact us at EMP Designs.